It’s a week of firsts for Jimmy Barnes. Not only is the Oz-rock icon releasing his first ever book, but he’s also announcing his first ever ‘spoken word’ tour throughout November and December. 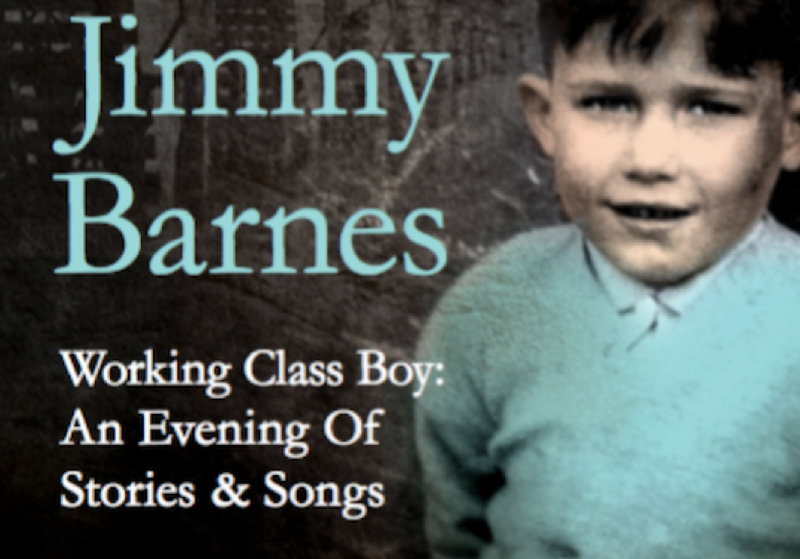 Tickets for WORKING CLASS BOY: An Evening of Stories and Songs will go onsale to members of the General Public at 10.00am local times on Monday, 19 September although members of Jimmy’s mailing list will receive exclusive early access to a limited quantity of seats.